GOVERNMENT is working on tightening public sector finance management systems amid revelations that more than $830 million statutory funds were not properly accounted for last year. Appearing before the Parliamentary Portfolio Committee on Finance and Economic Development, Acting Secretary for Finance and Economic Development Mr Zvinechimwe Churu said as a first step, Treasury has ensured that the budgets of the statutory funds are reflected in the blue book with effect from the 2016 Budget. 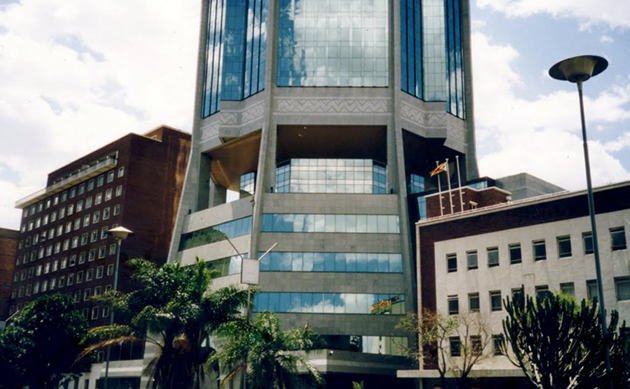 He said the second step entails moving the accounts of all statutory funds to the Reserve Bank of Zimbabwe. “We have now, through the Budget for 2016, ensured that the accounts are at the central bank. But we would also like to ensure that in due course we improve on the budgeting of these funds in terms of approval of the budget and appropriation but these are issues still under consideration,” said Mr Churu. “We acknowledge that $830 million is a lot of money and that it should be utilised well but we also appreciate that there are a lot of incentives and disincentives in terms of collection depending on whether that money is retained by the entity,” said Mr Churu. As such, the Public Finance Amendment Bill, 2015 seeks to enhance transparency and accountability in the management of public resources and ensure that resources collected by public entities are used for delivering vital public services efficiently. Finance and Economic Development Minister Patrick Chinamasa said in the 2016 National Budget that in order to enhance transparency and accountability over Statutory Funds and other retentions authorised by Treasury, Government directed all such entities to open bank accounts with the Reserve Bank of Zimbabwe and transfer all balances to central bank accounts by January 31, 2016. Failure by an entity to comply with this directive will result in the revocation of retention authority. He said Government has made significant strides to amend the Public Finance Management Act and restructure the Office of the Auditor General with a view to strengthening Treasury oversight of parastatals and local authorities. Minister Chinamasa said strengthening the control and management of public resources will go a long way in ensuring sound public debt management and responsible borrowing. This will in turn assist in avoiding the previous costly mistakes of accumulating debt to unsustainable levels. To ensure strict control, transparency and accountability a number of new sections have been added to the new legislation which deal with reporting, preparation of financial statements and setting deadlines for furnishing the Treasury with financial statements. Section 49 of the Public Finance Management Amendment Bill provides for financial statements to be prepared for each quarter of each financial year instead of just annual financial statements. “Further, quarterly financial statements are to be furnished to the Accountant-General within 21 days of the end of each quarter,” said Mr Churu. He said a new Subsection 4 has been introduced to Section 10 which says that an accounting officer, with regard to public entities and statutory funds for which his ministry is responsible, shall ensure that each public entity or statutory fund has systems in place for planning, allocating and budgeting and reporting on use of public resources; review recurrent and capital budgets of public entity or statutory fund and have power to call upon any accounting authority of each such entity or fund to provide explanation on an issue affecting use of public resources. Section 82 provides for the requirement for public entities to comply with recommendations made by an auditor within time-frames agreed between the Public Entity and the Auditor General, provided that a Public Entity, may on good cause shown to Treasury, defer or not implement some recommendations.